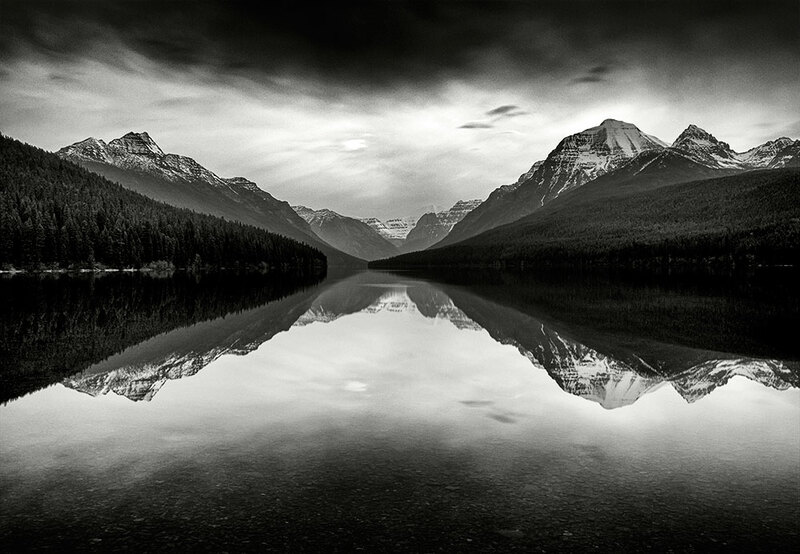 Glacier National Park is great for reflections. There’s so many photogenic glacial lakes to document. This shot is Bowman Lake, one of my favorites in GNP. It’s early May, so just a hint of snow and I photographed this scene for a while during the early morning. The scene changed quickly as the sun came up and the clouds went from barely any to a full cloudy day. I experimented with a neutral density filter, but actually found better results with a quicker exposure. It’s just nice sitting by Bowman Lake and soaking up the scenery, this lake is a photo extravaganza!